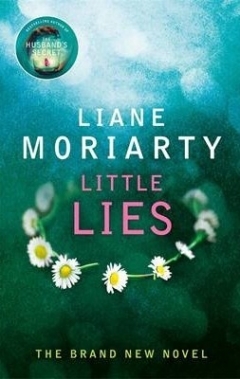 Little Lies opening line: ‘That doesn’t sound like a school trivia night,’ said Mrs Patty Ponder to Marie Antoinette. Jane who has recently moved to a small apartment in Pirriwee meets new mothers at the local school her son is going to attend. She becomes friends with Madeline and Celeste, and the story between the three of them and the other people at the school leads to rumours, vindictive behaviour, truths being revealed and murder! All is not as it seems, and nothing is ever perfect. Jane hasn’t lived anywhere longer than six months since her son was born five years ago. Now, in the idyllic coastal town of Pirriwee, Jane feels like she finally belongs. She finds friends in the feisty Madeline and beautiful Celeste, women with seemingly perfect lives – and their own secrets behind closed doors. But at the start of a new term, an incident involving the children of all three women occurs. Whispers and rumours become vicious and spiteful, and truths blur into lies. It was always going to end in tears, but no one thought it would end in murder. This is the second Liane Moriarty book I have read, and like the first this one was just as enjoyable. This goes onto my list of books to enjoy and if you are looking for an easy read, then this is it. Oh, I am going to look out this author – always good to have an easy read ever so often. I think I might enjoy it 🙂 Thanks for sharing!